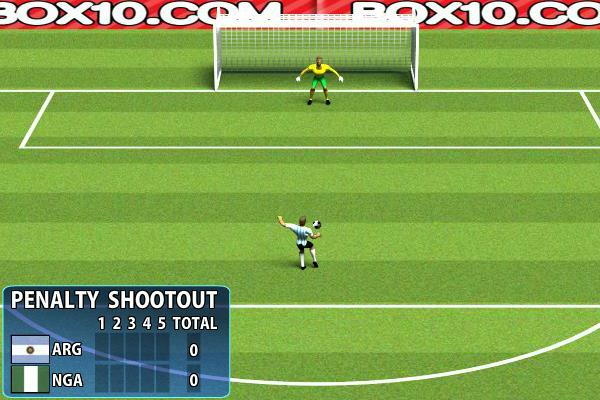 Choose your favorite team and play penalty shootout in this fun soccer game. Use the mouse button to determine, power, destination and the height behind the kick to make sure you will score. When you play as a goal keeper you follow what your opponent is doing click the spot for the goalkeeper to jump at when the ball is kicked and save one for your team.